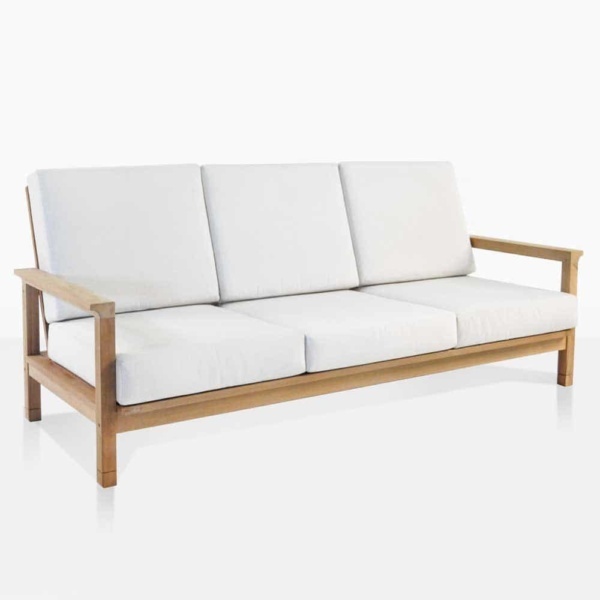 Create an ambiance of requiescence and tranquility with the alluring St. Tropez Teak Sofa. 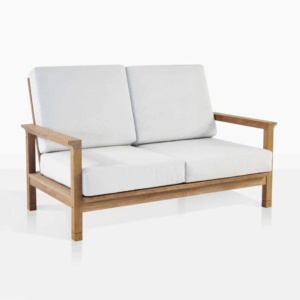 A 3-seater sofa that’s part of the quintessential St. Tropez Collection; known for it’s effortlessly simple and airy looking frame, angled back for extra comfort, wing flare on the beautiful, solid arms and a carved detail on the base of the legs. The St. Tropez collection is a combination of luxury and stateliness: pure functional beauty. 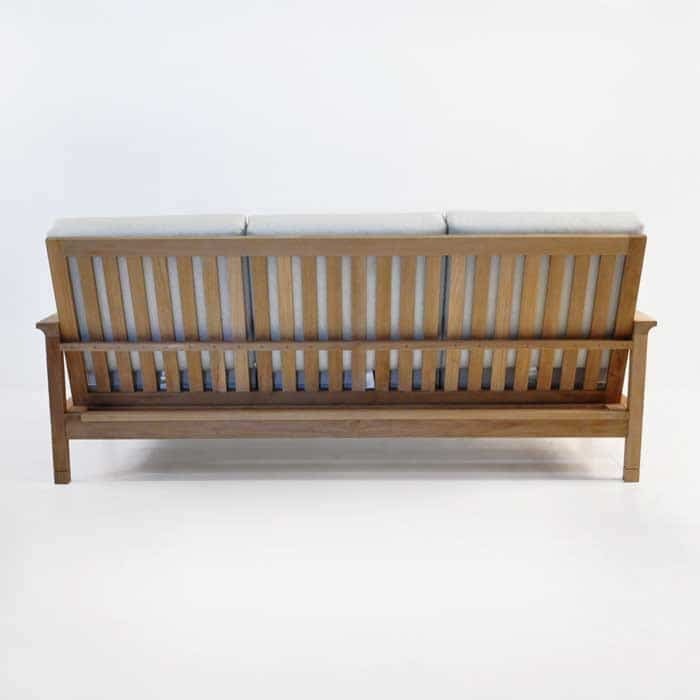 As the largest piece in the collection, the St. Tropez Teak Sofa is a magnificent 3-seater at 213 centimetres long, with a depth of 94 cm so you may sprawl out and enjoy your little slice of paradise. 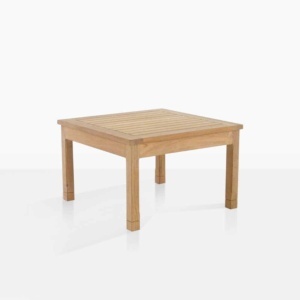 The arms on this piece flare out on the edges, creating a space to rest your arms comfortably. 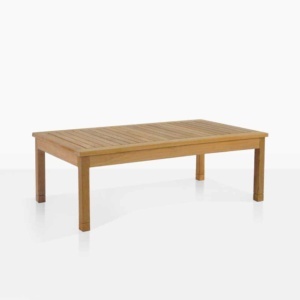 Constructed from the finest outdoor materials including our signature Grade A Teak, with marine grade glues and fixings, and topped off with luscious Sunbrella® cushions with brilliant Quick Dry Foam. Choose from Taupe or Canvas cushions to best serve your space! 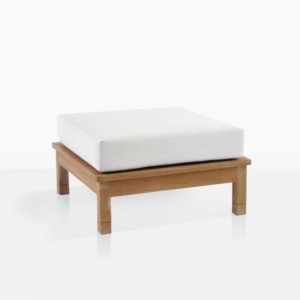 Try out the St. Tropez Sofa with a St. Tropez Ottoman on either side; giving you the option of extra seating, a side table or just somewhere to rest those weary bones! Available now! 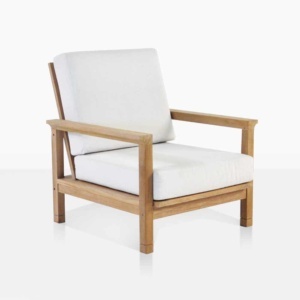 Sunbrella® cushions are FREE with your purchase of the St Tropez Teak Sofa.